Invictus 成事在人 (2009) - 英语电影角 - 英语交流吧论坛 - Powered by Discuz! Invictus is a 2009 biographical sports drama film directed by Clint Eastwood and starring Morgan Freeman and Matt Damon. The story is based on the John Carlin book Playing the Enemy: Nelson Mandela and the Game That Made a Nation about the events in South Africa before and during the 1995 Rugby World Cup, which was hosted in that country following the dismantling of apartheid. Freeman and Damon play, respectively, South African President Nelson Mandela and Fran&ccedil;ois Pienaar, the captain of the South Africa rugby union team, the Springboks. 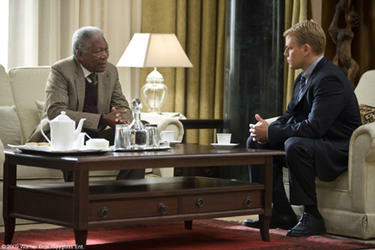 Invictus was released in the United States on December 11, 2009. The title Invictus may be translated from the Latin as "undefeated" or "unconquered", and is the title of a poem by English poet William Ernest Henley (1849–1903). Anthony Peckham's sturdy, functional screenplay, based on John Carlin's book Playing the Enemy, can be a bit on the nose (and the message songs Eastwood adds are overkill). Yet the lapses fade in the face of such a soul-stirring story — one that would be hard to believe if it were fiction. The wonder of Invictus is that it actually went down this way. 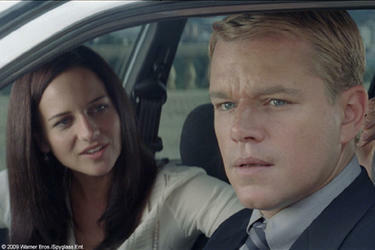 It is a very good film. It has moments evoking great emotion, as when the black and white members of the presidential security detail (hard-line ANC activists and Afrikaner cops) agree with excruciating difficulty to serve together. 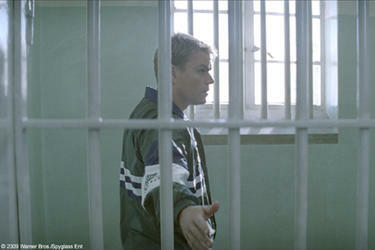 And when Damon's character — Fran&ccedil;ois Pienaar, as the team captain — is shown the cell where Mandela was held for those long years on Robben Island. My wife, Chaz, and I were taken to the island early one morning by Ahmed Kathrada, one of Mandela's fellow prisoners, and yes, the movie shows his very cell, with the thin blankets on the floor. You regard that cell and you think, here a great man waited in faith for his rendezvous with history. Eastwood's film shows how sport can unify people, a straightforward and moving message that leaves audiences cheering. The sports, accurate portrayal and the solid storyline earn this movie a manliness rating of 3/5. However, the entertainment value, historical accuracy and strong message this movie delivers earn it an overall rating of 4.5 stars. Definitely, worth seeing. Inspirational on the face of it, Clint Eastwood's film has a predictable trajectory, but every scene brims with surprising details that accumulate into a rich fabric of history, cultural impressions and emotion. Plot On 11 February 1990, Nelson Mandela is released from Victor Verster Prison after 27 years spent in jail. Four years later, Mandela is elected the first black President of South Africa. His presidency faces enormous challenges in the post-Apartheid era, including rampant poverty and crime. Mandela is particularly concerned about racial divisions between black and white South Africans, which could lead to violence. The ill will which both groups hold towards each other is seen even in his own security detail where relations between the established white officers, who had guarded Mandela's predecessors, and the black ANC additions to the security detail, are frosty and marked by mutual distrust. While attending a game of the Springboks, the country's rugby union team, Mandela recognizes that the blacks in the stadium cheer against their "home" squad, as the mostly-white Springboks represent prejudice and apartheid in their minds. He remarks that he did the same while imprisoned on Robben Island. Knowing that South Africa is set to host the 1995 Rugby World Cup in one year's time, Mandela persuades a meeting of the newly black-dominated South African Sports Committee to support the Springboks. 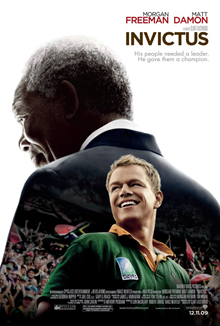 He then meets with the captain of the Springboks rugby team, Fran&ccedil;ois Pienaar (Matt Damon), and implies that a Springboks victory in the World Cup will unite and inspire the nation. Mandela also shares with Fran&ccedil;ois a British poem, "Invictus", that had inspired him during his time in prison. Fran&ccedil;ois and his teammates train. Many South Africans, both black and white, doubt that rugby will unite a nation torn apart by some 50 years of racial tensions. For many blacks, especially the radicals, the Springboks symbolise white supremacy. Both Mandela and Pienaar, however, stand firmly behind their theory that the game can successfully unite the South African country. Before the game, the Springbok team visits Robben Island, where Mandela spent 27 years in jail. 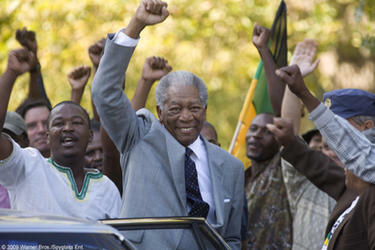 There Pienaar is inspired by Mandela's will and his idea of self-mastery in "Invictus". Fran&ccedil;ois mentions his amazement that Mandela "could spend thirty years in a tiny cell, and come out ready to forgive the people who put [him] there". Supported by a large home crowd of both races, Pienaar motivates his team. Mandela's security detail receives a scare when, just before the match, a 747-400 flies in low over the stadium. It is not an assassination attempt though, but a demonstration of patriotism. The Springboks win the match on an added time long drop-kick from fly-half Joel Stransky, with a score of 15–12. 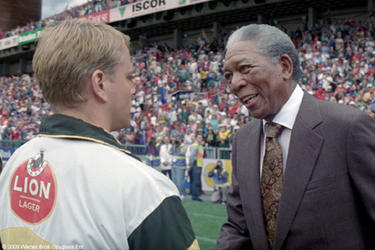 Mandela and Pienaar meet on the field together to celebrate the improbable and unexpected victory. Mandela's car then drives away in the traffic-jammed streets leaving the stadium. As Mandela watches the South Africans celebrating together from the car, his voice is heard reciting "Invictus". 1) Forgiveness liberates the soul. It removes fear. That is why it is such a powerful weapon. 2) You criticize without understanding. You seek only to address your own personal feelings. That is selfish thinking, Zindzi. It does not serve the nation. 3) Brothers, sisters, comrades, I am here because I believe you have made a decision with insufficient information and foresight. I am aware of your earlier vote. I am aware that it was unanimous. Nonetheless, I believe we should restore the Springboks. Restore their name, their emblem and their colors, immediately. Let me tell you why. On Robben Island, in Pollsmoor Prison, all of my jailers were Afrikaners. For 27 years, I studied them. I learned their language, read their books, their poetry. I had to know my enemy before I could prevail against him. And we did prevail, did we not? All of us here … we prevailed. Our enemy is no longer the Afrikaner. They are our fellow South Africans, our partners in democracy. 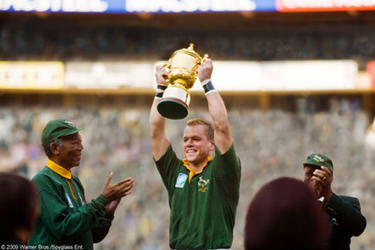 And they treasure Springbok rugby. If we take that away, we lose them. We prove that we are what they feared we would be. We have to be better than that. We have to surprise them with compassion, with restraint, and generosity. I know. All of the things they denied us. But this is no time to celebrate petty revenge. This is the time to build our nation using every single brick available to us – even if that brick comes wrapped in green and gold. You elected me your leader. Let me lead you now. 4) [when asked what Mandela wanted during their meeting] I think he wants us to win the World Cup. 5) I may break my arm, my leg, my neck, but I will not let that freaking guy go. High School Boy: [seeing passing motorcade] Who is it, sir? High School Coach: It's the terrorist Mandela, they let him out. Remember this day boys, this is the day our country went to the dogs. Etienne Feyder: Well, you know what they say about soccer. It's a gentleman's game played by hooligans. On the other hand, rugby is a hooligans game played by gentlemen. Linga Moonsamy: Ja, ja, ja, I heard that one before. And it wasn't funny the first time. Jason Tshabalala: Ah, that must be Jessie with the schedule. Come in, beautiful! Jason: [springing to his feet] What's this? Etienne Feyder: Mr. Jason Tshabalala? Jason: That's me. Am I under arrest? Feyder: Captain Feyder and team reporting for duty, sir. Feyder: We're the presidential bodyguard. We've been assigned to this office. [reaches into his pocket and removes a booklet] Here are our orders. Etienne: [noticing Jason's incredulity] You'll see that they've been signed. Hendrick Booyens: Gee, It's cold, man. Nelson Mandela: How are you? Nelson Mandela: How is your family, Hendrick? Hendrick Booyens: Top shape, sir. How about yours? Linga Moonsamy: [furiously] We never, never ask him about his family. Hendrick Booyens: But he asks us about ours all the time! Linga Moonsamy: Hey, think about it, man. He's separated from his wife, his children. How often do you see them here, huh? He's not a saint, okay? He's a man, with a man's problems. He doesn't need us reminding him about them. Francois Pienaar: Can I ask you a question, Lieutenant? Hendrick Booyens: Ja, of course. Francois Pienaar: What's he like? Hendrick Booyens: When I worked for the previous President, it was my job to be invisible. This President... Well, he found out I like English toffee, and he brought me some back from his visit to England. Etienne Feyder: When does he take a break? Staff Member: He says he rested enough in prison. Brenda Mazibuko: You're risking your political capital, you're risking your future as our leader. Nelson Mandela: The day I am afraid to do that is the day I am no longer fit to lead. Nelson Mandela: How do you inspire your team to do their best? Francois Pienaar: By example. I've always thought to lead by example, sir. Nelson Mandela: Well, that is right. That is exactly right. But how do we get them to be better then they think they CAN be? That is very difficult, I find. Inspiration, perhaps. How do we inspire ourselves to greatness when nothing less will do? How do we inspire everyone around us? I sometimes think it is by using the work of others. Television Announcer: Tell us Mr. President, have you always been a rugby fan? Nelson Mandela: People don't realize that I played rugby myself when I was a student at Fort Hare. It is a very rough game, almost as rough as politics. Colleague: According to the experts, we'll reach the Quarter Finals, and no further. Nelson Mandela: According to the experts, you and I should still be in jail. Francois Pienaar: No. Tomorrow's taken care of, one way or another. I was thinking about how you spend 30 years in a tiny cell, and come out ready to forgive the people who put you there. He was a prisoner who became a president. To unite his country, he asked one man to do the impossible. [watching a rugby match] All the whites cheer for South Africa. All the blacks cheer for England. How long before the World Cup? Don't get your hopes up. We're a damn disgrace! Times change, we need to change as well. He invited me to tea. It is a HUMAN calculation! According to the experts, we'll reach the quarter-finals, and no further. According to the experts, you and I should still be in jail. Brothers and sisters, this is the time to build our nation! [to his team] This is it! This is our destiny! You're risking your political capital, you're risking your future as our leader. The day I am afraid to do that is the day I am no longer fit to lead. That is why it is such a powerful weapon. [after Francois returns from his tea with President Mandela] So, what's he like? [pauses] He's unlike any person I've ever met. [This is likely an 'in' joke as Matt Damon said something similar when meeting Francois Pienaar for the first time] He's not as big as he looks on TV. There are four Special Branch cops in my office. Why, what did you do? The Rainbow Nation starts here. Reconciliation starts here. [as match is about to begin] Perhaps we should make a little wager? All your gold for all our sheep? Well, I was thinking more along the lines of a case of wine. [seeing passing motorcade] Who is it, sir? It's the terrorist Mandela, they let him out. Remember this day boys, this is the day our country went to the dogs. When does he take a break? He says he rested enough in prison. How do you inspire your team to do their best. By example. I've always thought to lead by example, sir. Well, that is right. That is exactly right. But how to get them to be better than they think they *can* be? That is very difficult, I find. You criticize without understanding. You seek only to address your own personal feelings. That is selfish thinking, Zindzi. It does not server the nation. Tell us Mr. President, have you always been a rugby fan? People don't realize that I played rugby myself when I was a student at Fort Hare. It is a very rough game, almost as rough as politics. [reciting Invictus poem] Out of the night that covers me, black as the pit from pole to pole, I thanks whatever gods may be, for my unconquerable soul. In the fell clutch of circumstance, I have not winced nor cried aloud. Under the bludgeonings of fate, my head is bloody, but unbowed. Beyond this place of wrath and tears, looms but the horror of the shade, and yet, the menace of the years finds, and shall find me, unafraid. It matters not how strait the gate, how charged with punishment the scroll, I am the master of my fate - I am the captain of my soul. No. Tomorrow's taken care of, one way or another. I was thinking about how you spend 30 years in a tiny cell, and come out ready to forgive the people who put you there. GMT+8, 2019-4-23 05:55 , Processed in 0.148169 second(s), 31 queries .